Thrustmaster recently released a new high end gaming headset for use on the PC and I was lucky enough to pick up a set for my sim racing. 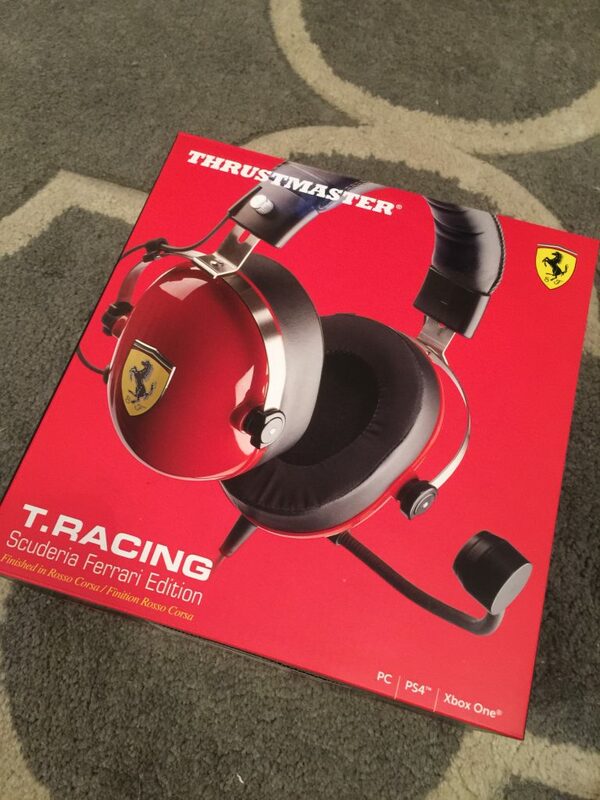 The headset in question is the Thrustmaster T.Racing Scuderia Ferrari Edition Headset, Snappy name i know ! The first thing you notice is the quality of the box and packaging which i think shows they have given this whole experience a bit thought and bodes well the the actual item itself. 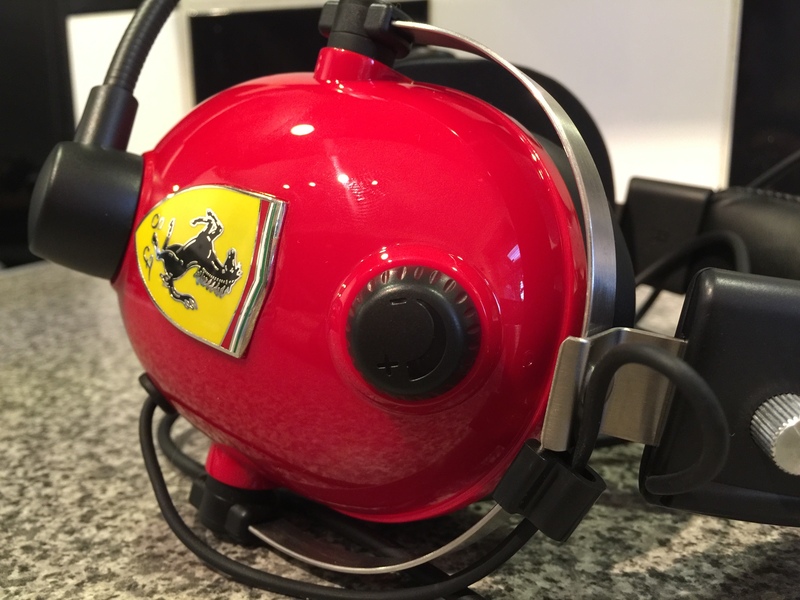 Then after getting everything unpacked the deep colour finish of the very red ear cups really stands out and even though they are plastic they certainly don’t look it. 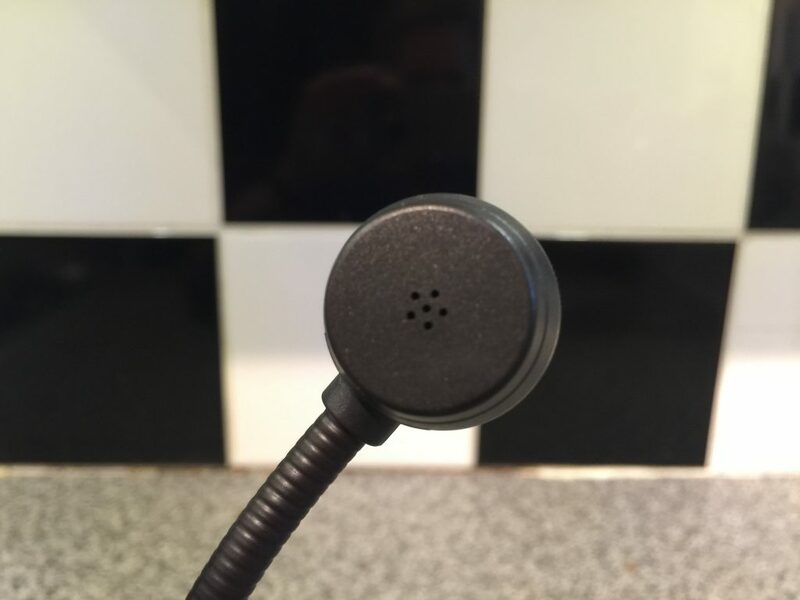 The on ear volume knob, much better for VR users as its easy to locate when you have your googles on. Then there is the mic stalk which is not only flexible but the whole arm is rotatable with a notched locking mechanism which holds the mic in place by your mouth or up by the ear cup when not needed. The over head band is also very comfortable and easy to adjust on the fly with a simple to locate and use twist, slide and lock system. 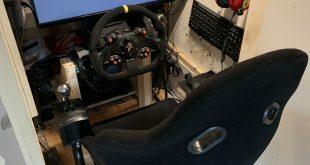 Now on to how they feel and perform in use while sim racing. Although they do have some weight to them them sit nicely on your head and are very easy to wear and use for long periods without any issues. 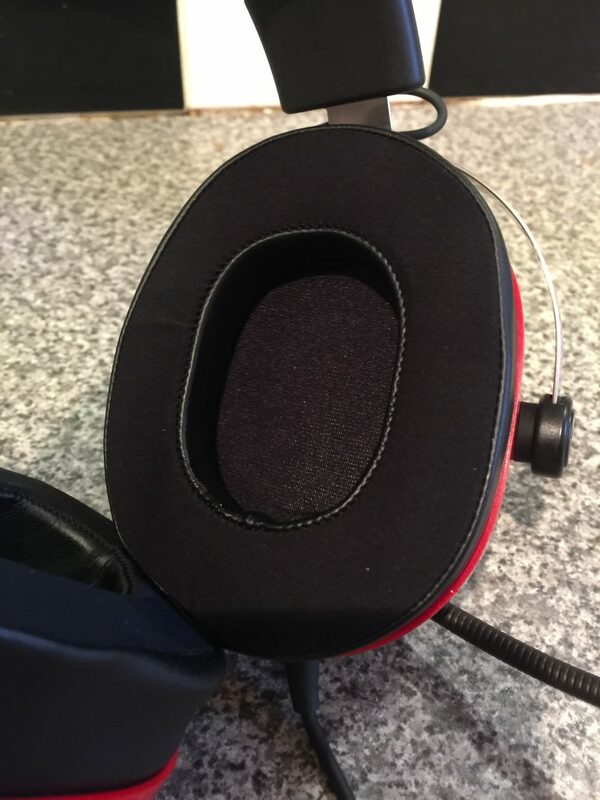 They have large ear cushions which are made using memory foam and they do fit well over the ear and you can tell straight away just how well they sit over your ear by how much sound they block out when you just place them over your ears adding to the immersion of your gaming experience as far less outside noise will filter through. The mic is also very good and the design is such that its made to pick up your voice rather than all the other sounds being made while gaming. 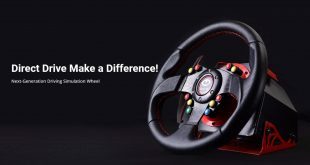 In the case of us sim racers its our FFB wheels, paddle shifters and pedals. I found in my testing that with the mic angled and set up correctly any recordings i made had no rattles, bangs or clicks audible just my smoothing and calm voice as i raced to another winning performance ! The winning performance part of that last statement may not be entirely correct but you get the idea ! 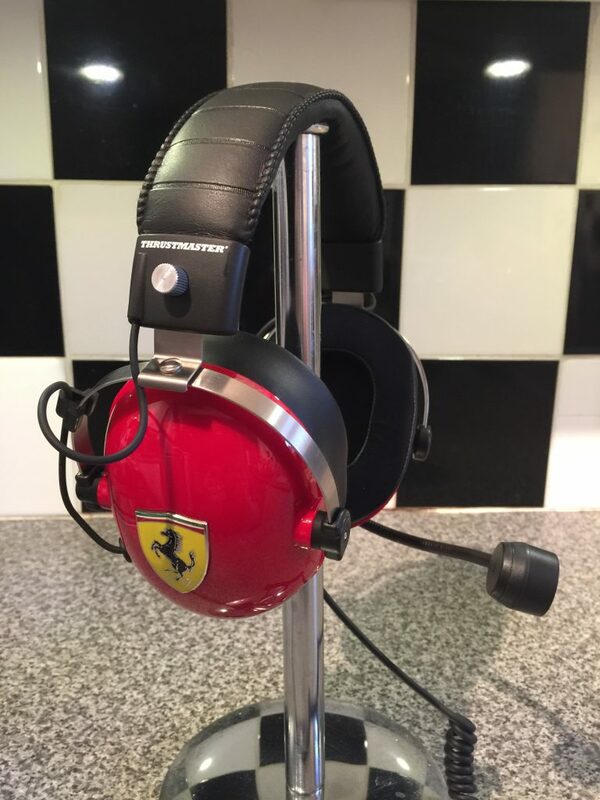 The headset has been built with two large 50mm drivers which can handle and reproduce a good amount of bass and in sim racing titles such as RaceRoom with its class leading car sounds it really does give your ears an audible workout i can tell you, but in a good way honestly. I have found no issues with distortion even at sound levels a bit to high for me in general use. The headset on my PC is powered by my Sound Blaster Audigy FX which is a mid range sound card but does have a good bit of oomph for powering headsets and the like. Another neat little feature is the inline mic mute switch and volume control. This is very nice when streaming or recording your sim racing as you can either quickly mute your mic or tweak the mic volume on the fly as and when required and this is not something i have had on any of my previous headsets. 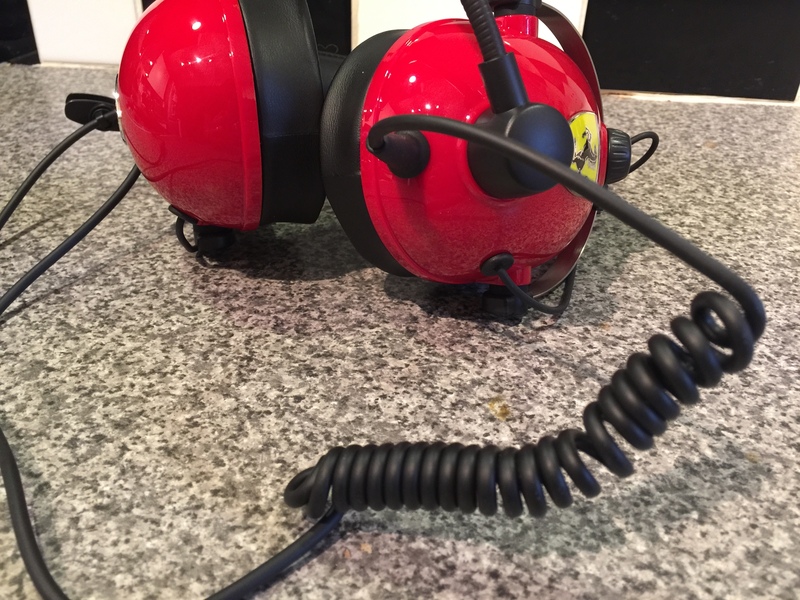 I also found that the coiled lead coming from headset has stopped the rest of the cable from getting all tangled up which my other headsets did after a time when you kept twisting them about when taking them on and off, a small but useful feature that is very welcome by me i can tell you. 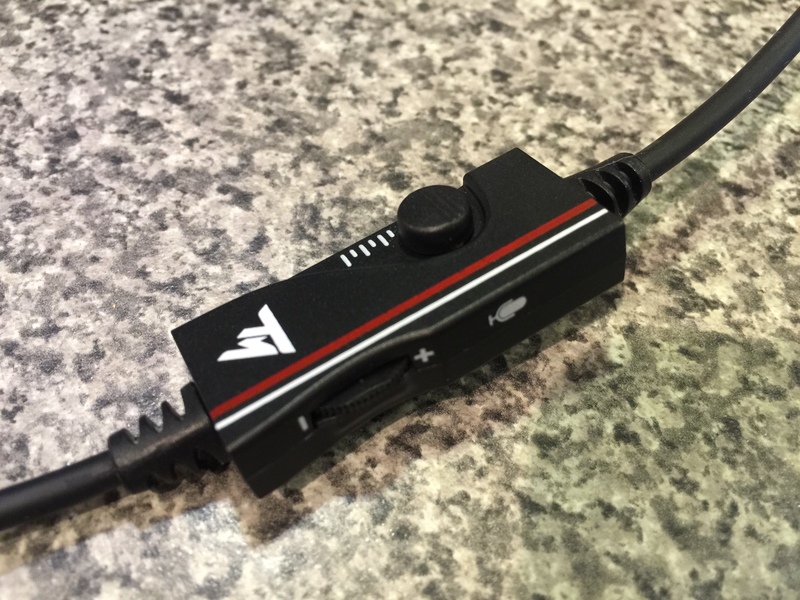 As for the cabling the headset itself ends in a single 3.5″ jack and then they supply a slitter cable to allow you to plug the mic and speakers into their own respective 3.5″ inputs on your sound card and this works very well in practice. 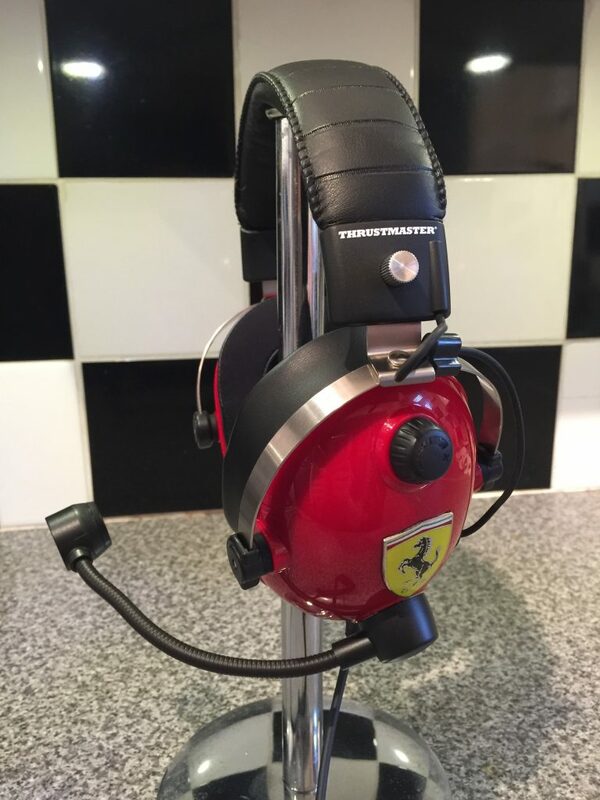 I have been as you can guess by now very impressed with my new Thrustmaster T.Racing headset and even though this is the most expensive headset i have ever brought at £90 here in the UK i don’t regret my purchase at all and have been very surprised by their performance in both gaming and music listening while on my PC. 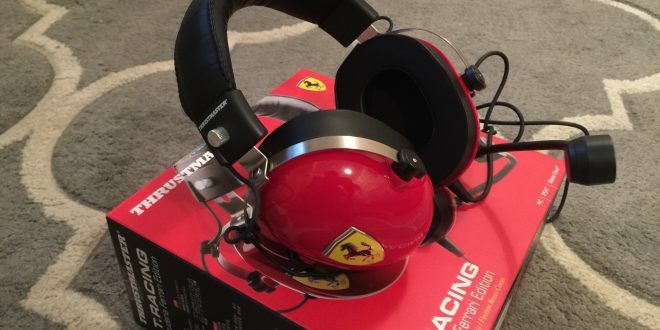 I was initially concerned they may of just been an over priced set of mid range headphones painted red with Ferrari branding slapped on the side, but i am happy to say that couldn’t be further from the truth and they are a very well thought out and made headset which sound very impressive that i will be keeping for many a year to come that i am sure of. But with all that said they do look very cool and look great hanging on the side of my rig and the 12 year old F1 fan in me would of been happy with just that !!! This headset does seem to range in price within the UK with prices from £90 to £130 so its worth taking a bit of time to hunt around for the best price. 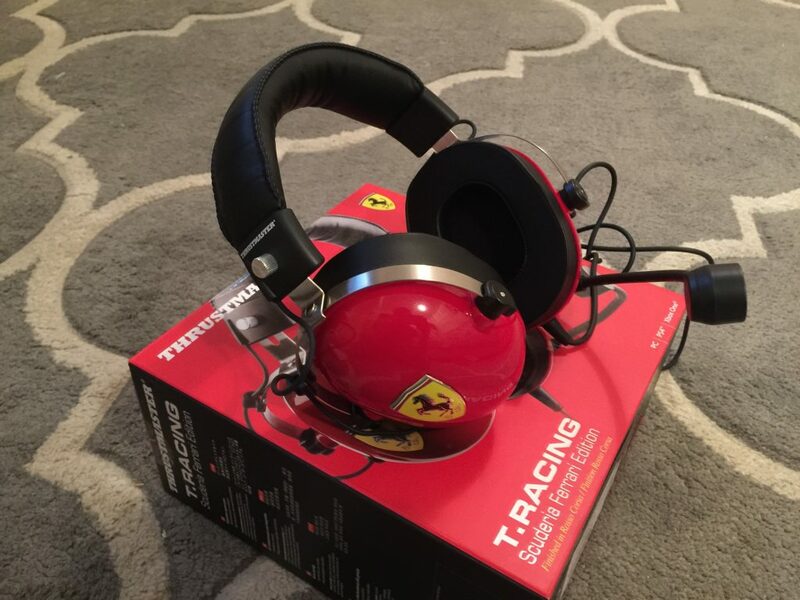 I hope you found this mini review of the new Thrustmaster T.Racing headset informative and helpful but if you have any questions or comments please feel free to add them bellow in the comments section. 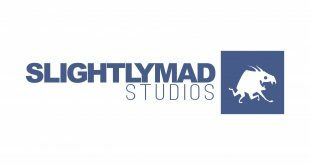 Thanks and happy sim racing – Jason.